Founded on October 31, 2012, the mission of the Downtown Waterfront Parks Foundation is to support and advocate for the preservation and enhancement of the historic waterfront parks of St. Petersburg, Florida to ensure their future for the enjoyment of residents and visitors. 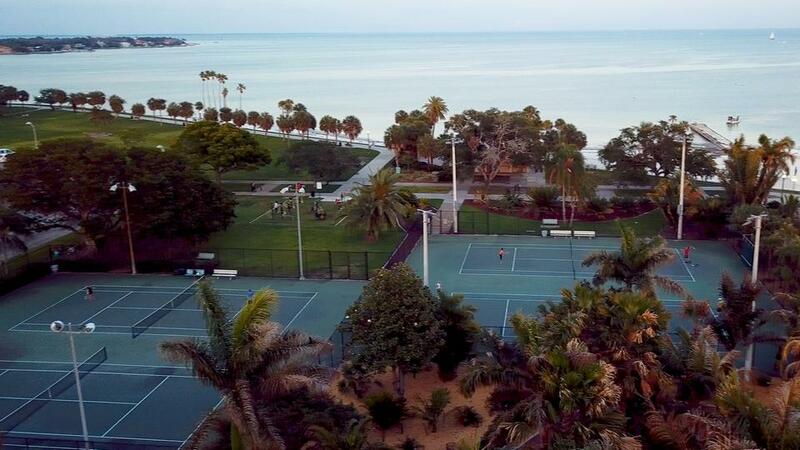 The Foundation focuses ONLY on the Waterfront Parks in St. Petersburg which run along Tampa Bay near the Downtown core with Flora Wylie Park (13th Ave. NE. & North Shore Dr. NE) as the northern boundary and Poynter Park (1000 3rd St. S) as the southern boundary. "To support preservation and enhancement of the historic downtown waterfront parks for the enjoyment of residents and visitors of St. Petersburg." Why a Waterfront Parks Foundation? The St. Petersburg Downtown Waterfront Parks are one of the most important physical assets of our community—clearly the Jewels of our Downtown vista. Some say they are the primary driver of St. Petersburg’s Downtown economy, reflective of our City’s lifestyle, and an important reason that people love St. Pete. When people remark about our City’s Downtown, it is the setting of our waterfront parks on Tampa Bay that they recall. Yes, the museums, hotels, restaurants, shopping and friendly people are all wonderful assets, but they are fruits of this idyllic location. Great memories are experienced and enlivened in the setting of the waterfront parks environment. For many in our community the Downtown Waterfront Parks Centennial Celebration ignited a rediscovery of the value and historical importance of our waterfront parks. We are truly blessed by the wisdom of our early town fathers who preserved and protected this Emerald Necklace on the Bay for all posterity. Unfortunately, in recent years, we have seen the Downtown Waterfront Parks decline in their majesty. The scheduled maintenance program of planting trees and seasonal flowers, dead shrub replacement, and care of grassed areas has fallen by the wayside leaving these parks in sad shape. Not because of City Management deficiencies, or lack of desire on the part of the Administration to keep them in top condition, but simply because there is no longer enough money in the City budget to maintain them at the level we enjoyed in past decades. The budget for upkeep of ALL parks throughout the city has dropped from $907,105.00 in 2000 to $290,702.00 in 2011. The residents of St. Petersburg have been given a family heirloom, a precious gem in the form of our Waterfront Parks, to cherish and maintain. These parks are losing their luster for lack of funds. Our Downtown Waterfront Parks need an advocate for their ongoing care and maintenance in order to look and function at their highest potential for all of our residents and visitors. This is why the Downtown Waterfront Parks Foundation was formed. Promotion of the Parks through presentations to community organizations: Kiwanis, St. Petersburg Rotary, Sunrise Rotary, Women’s Chamber of Commerce, neighborhood associations, condominium associations, presentations at community events, etc. Provide support to the Parks Department for the upgrading of maintenance, appearance and facilities to insure proper attention and funding is provided by the City Administration and Council. This effort has brought the realization that the Waterfront Parks are not only historic landmarks, but also a major economic driver for the success of our City’s development. We have been successful in elevating the importance of these parks to our community’s success. Provided a new awareness of the importance of these parks and their open space views to the entire community. Engaged in planting projects to install flowers in the parks with volunteers. Engaged in park clean-up projects (Blue Ocean Park Cleanup) with volunteers. Supported and attended community events such as, Earth Day, Wine & Food Festival, Movies in the Park, Women’s Chamber events, etc. Provided community activities in the Parks such as “BocceBall” (a bocce ball tournament held in Elva Rouse Park for 3 years). Bringing attention to the importance of our Waterfront Parks through other events such as the “Sunday Shuffle” and the “Champaign Shuffle”. Working with the City for the replacement of signage, benches and trash receptacles within the waterfront parks. We will provide some funding for these elements as prototypes. Encouraging trimming of the mangrove mass that blocks views of Tampa Bay at Flora Wylie Park. Provide advocacy for the Downtown Waterfront Parks regarding preservation, maintenance and appropriate enhancements. Raise money for support of the waterfront parks, ie., benches, signage, legal fees for protection ordinances and land use designation, as well as support for organizations and events with parallel goals. Created website to support mission statement and provide information to site visitors. Created FaceBook page to promote the waterfront parks and to share information regarding park activities and the work of the Foundation. Developed an email list of community members, volunteers and stakeholders that want to participate in information sharing and events. Provide a newsletter (“Park Views”) to share goals, events, news and park activities to promote the Foundation mission and provide information to our constituents to further our goal to enhance the function, appearance and preservation of the downtown waterfront park system. Continue to advocate for open green space and unobstructed views of Tampa Bay within our downtown waterfront parks. Continue to be a support and consulting resource to the City Administration, Council and Parks & Recreation Department. John Bowman - John Bowman, C.P.A. Legal Advisor - Joel Giles, Esq.